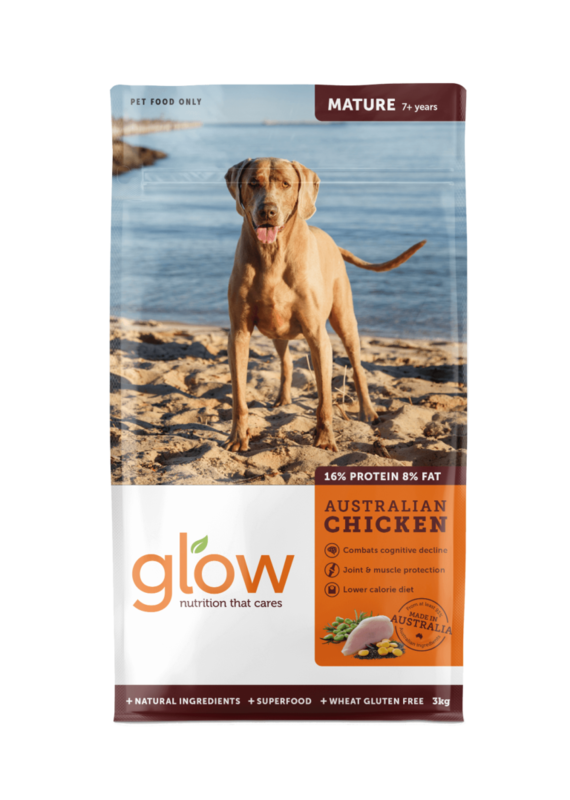 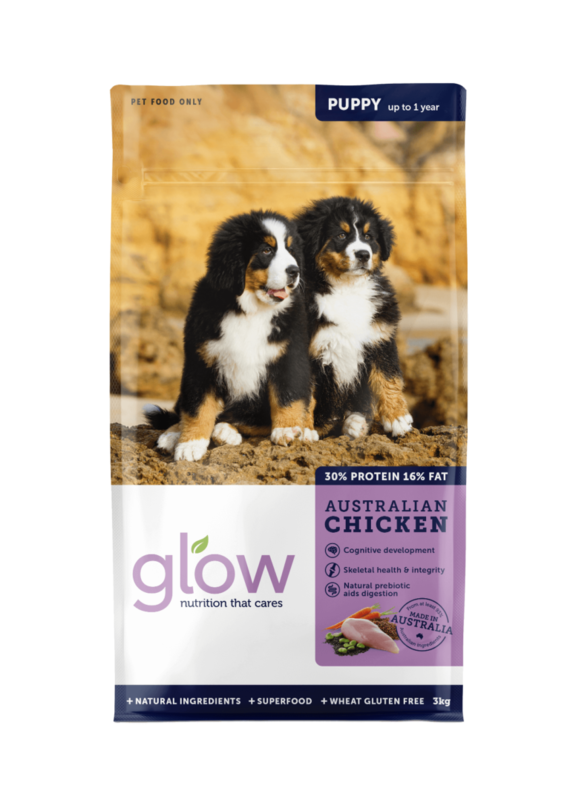 Glow™ is an Australian made and 100% Australian owned pet food that your best friend deserves. 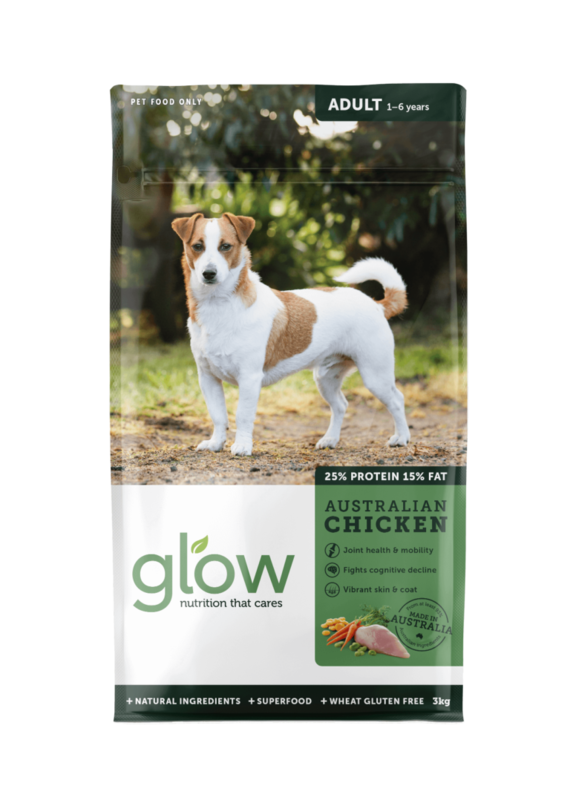 Crafted from natural ingredients, our delicious recipes provide a balanced diet for your dog, giving them everything they need for a vibrant, healthy life. 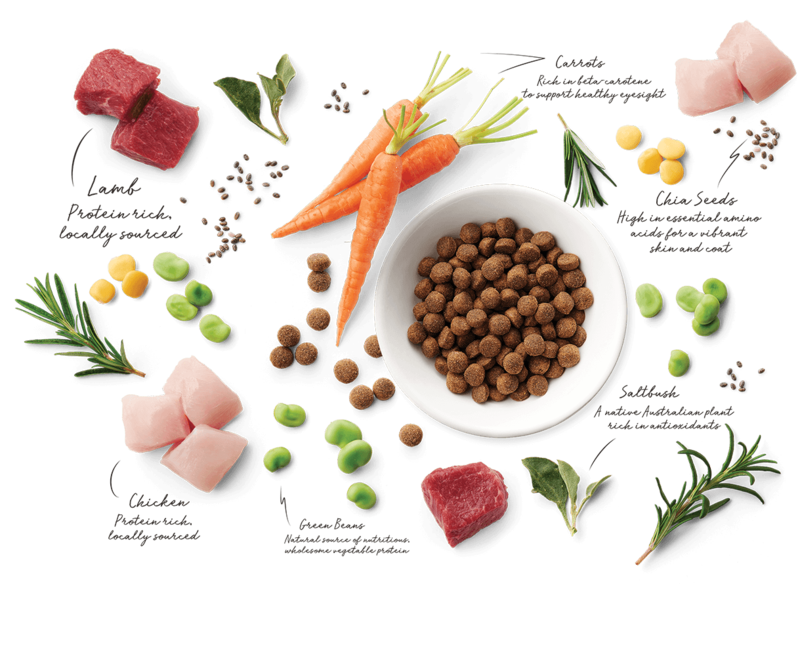 Our unique blend focuses on the use of sustainable Australian ingredients, partnering with suppliers who share our vision to actively work together on reducing our environmental paw print™. 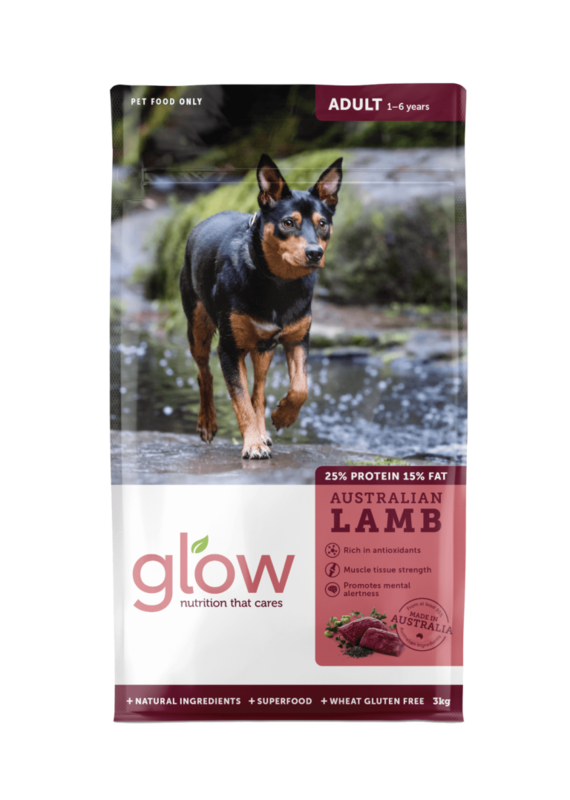 For Glow™ it’s not a choice, it’s a necessity, because we’re nutrition that cares™.